Selling a car is a very difficult and uncertain process. One is ever sure of their car’s real market value. finding online leads to more time consumption, multiple calls, random meetings, price haggling etc.CARS24 made everything an easy to sell a car, fair and quick experience. India’s burgeoning financial services sector has become attractive for even non-financial firms. Startups, whose core businesses have nothing to do with financial services, are after early scale entering the financial services game and sell financial products such as loans, credit cards, and insurance. Last two days, home-grown cab hailing major Ola had applied for a non-banking finance company (NBFC) license. 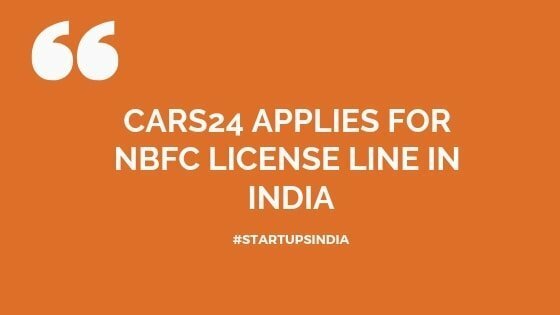 Now Cars24, an online marketplace for buying and selling used cars has applied to the Reserve Bank of India (RBI) for an NBFC license. The Gurugram-based companies plan to start separate financing business under the Cars24 umbrella. In order to extend its business, the company intends to offer vehicle loans. When a consumer buys the vehicle from the dealer we can be the financing platform for them, CEO Vikram Chopra quoted as saying by ET report. Cars24 maintains the best feedback from customers and buys used vehicles from owners and sells them to dealers, fulfilling the end-to-end transaction. The firm earns revenue through a commission of about 4-5.5 percent from each transaction. Three years old firm claims to have sold over 110k cars. 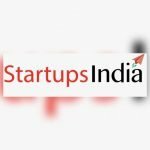 In the year of 2018, venture capital firm Sequoia Capital India had led around Rs 340 crore round in Cars24. According to industry analysts, lending is the next big thing in the business. At the same time, they said, financial service is a difficult segment to crack and stand in the industry. E-commerce players Amazon, Flipkart, Snapdeal and Xiaomi all have earlier applied for NBFC licenses. Will all these firms, primarily non-core financial firms, be able to run financial services independently.